On a recent visit to New Ferolle, Shoal Cove West & Reef’s Harbour it was clear that this region offers Heritage, Wildlife & Coast Scenery. 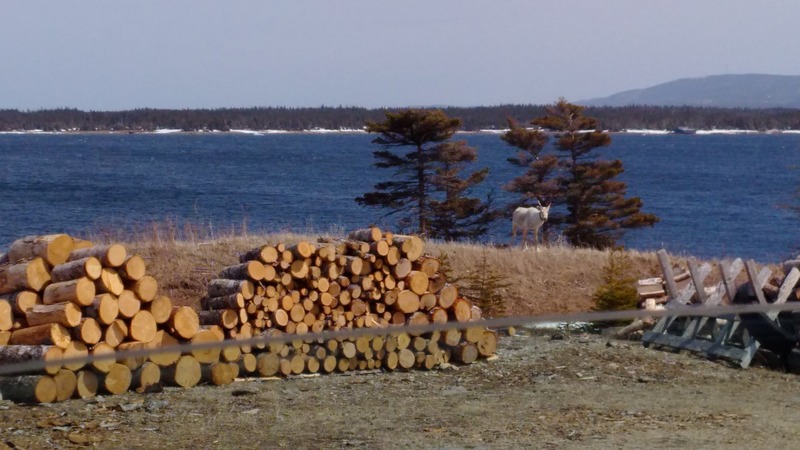 From the caribou to wood piles to water, we were surrounded by images of what makes rural Newfoundland & Labrador that authentic place we call home. New Ferolle is just 11 kilometers from Reef’s Harbour junction, on Route 430. The area uniquely separates St. Margaret’s Bay from St. John Bay with a tremendous view of the Long Range Mountains. The residents that live in these three communities enjoy these sights on a near daily basis. Visitors to the region can also enjoy the fishing activity, walking trails, vernacular architecture and the New Ferolle lighthouse, built in 1912. The lighthouse was operated by the Beaudoin family of New Ferolle for three generations, until the lighthouse became automated in June 1992. The Community of Reef’s Harbour has an economic engine that is sitting idle. This fish plant presents an opportunity to create jobs, produce high-value locally sourced seafood and stimulate the local economy. Why are we letting great assets with excellent wharfing infrastructure sit idle? The fishery is the mainstay of these communities, as is the case for most on the tip of the Great Northern Peninsula. The lobster traps, boats, fishing gear, personal stages, wharves and access to the bay are clear highlights of a hub of activity that exists from early May and into summer. I managed to capture a growler or small iceberg in this photo as well. Our small rural fishing communities are beautiful and full of value and untapped potential. I encourage you on your trek up the Great Northern Peninsula to experience it for yourself. 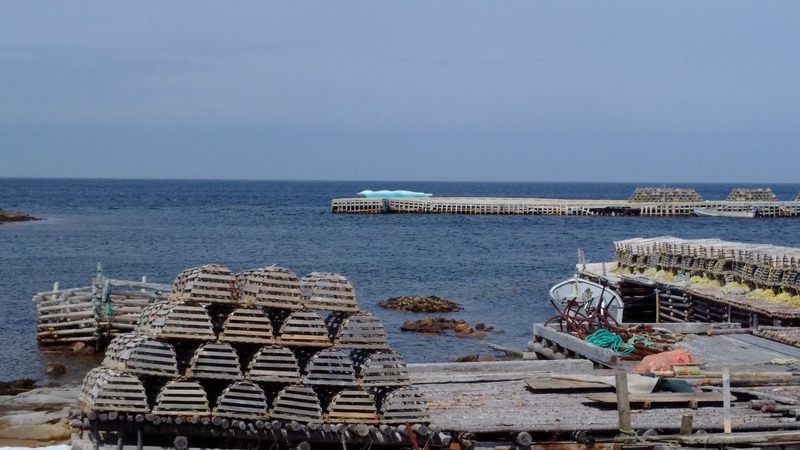 Posted on June 12, 2015, in Community Economic Development, Heritage, History, Landscapes/Geography and tagged Fishery, fishing, Great Northern Peninsula, new ferolle, Newfoundland, reefs harbour, shoal cove west, tourism. Bookmark the permalink. 1 Comment. Update of Ferolle Pt. Lighthouse, after the Beaudoin Family retired, Gord Byrne was lightkeeper til his retirement, then was manned with casual and term keepers until Jaye Roberts transferred there in 2004 and is still principal lightkeeper to this day.